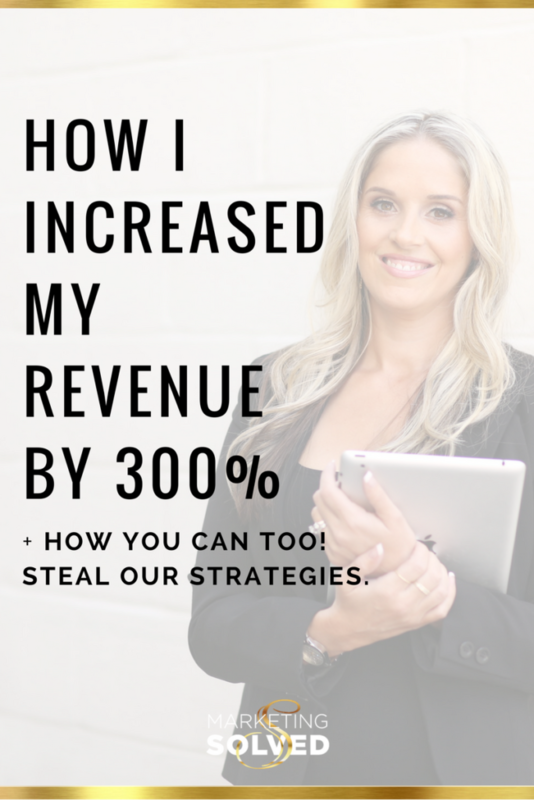 We can pinpoint one thing we did in our business that increased our revenue by 300%. As we celebrate our 2 year anniversary, we looked back to see what the most significant improvement we made in our business. 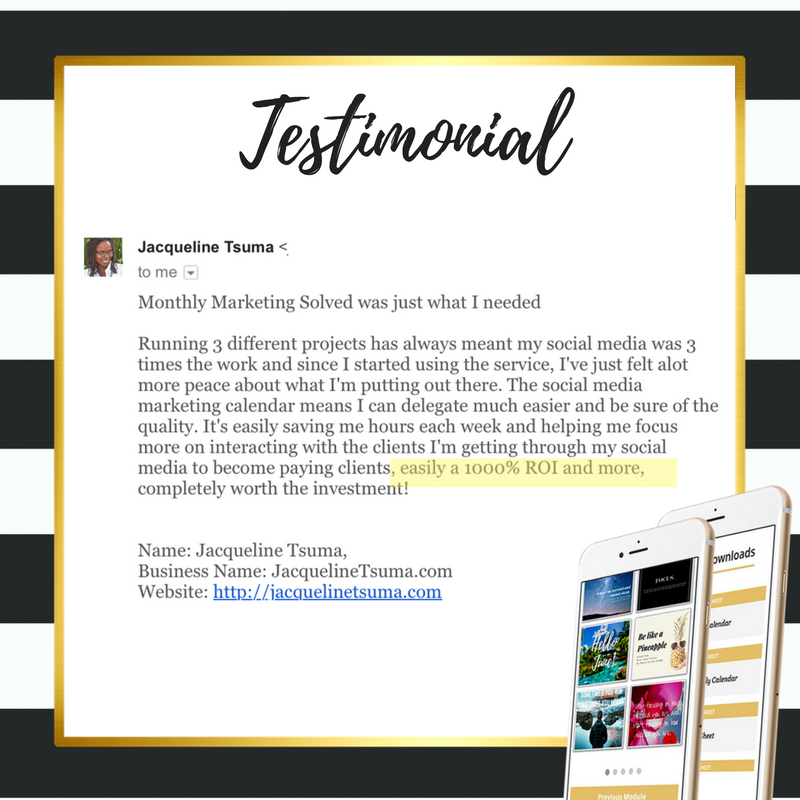 We reviewed social media fans, advertising, email marketing, revenue, and our programs. Surprisingly, there was one thing that stood out as being the tipping point for our revenue, brand awareness, and overall growth. If you’re not familiar with Monthly Marketing Solved, this is our monthly membership program. Inside this program, we create marketing content for businesses, brands, and entrepreneurs. We provide a monthly marketing / promotional calendar for business owners to know what to post, when to post, and when to promote their business. 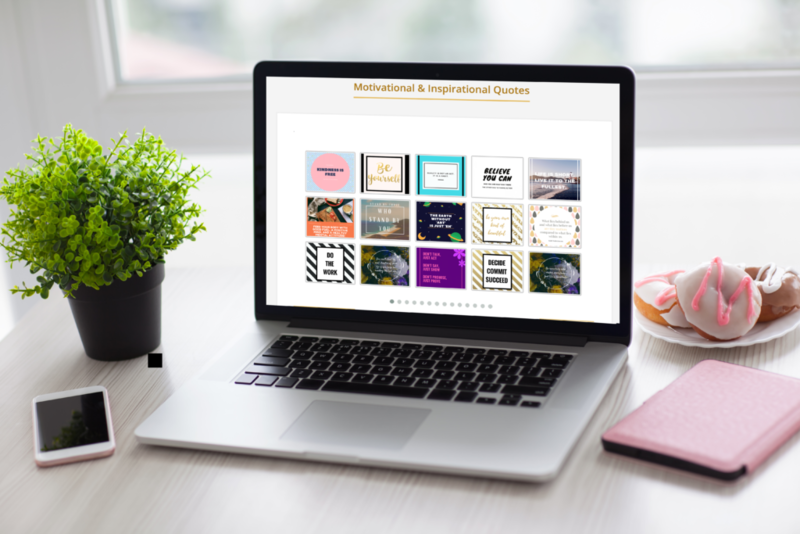 We provide members with hundreds of pre-made graphics, pre-written social media statuses, promotional graphics and promotional offers – each can be quickly and easily customized specifically to that business by adding a logo or custom url. After a year, the program has evolved into much more than providing content. 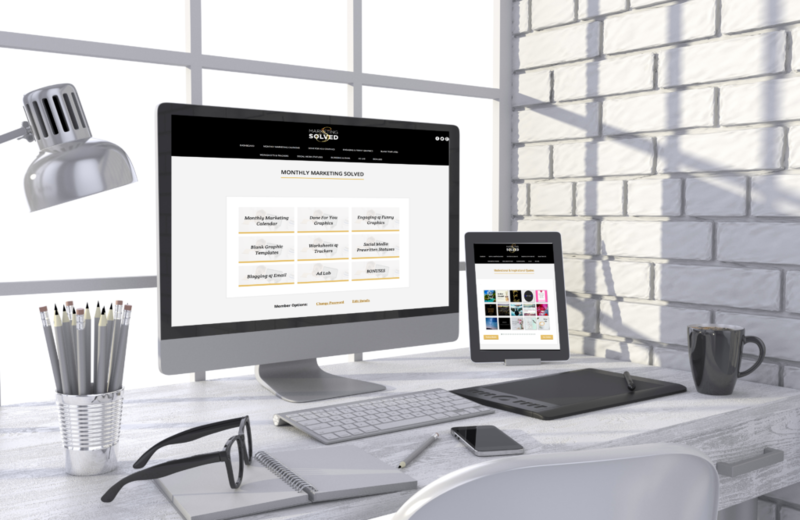 Now, members get immediate access to a video vault with 20 + full marketing courses, a brand new monthly training, plus access to our members only Facebook group for one-on-one marketing assistance. It’s a hit. No question about it. We’ve had several hundred members in this program and the reviews are phenomenal. What made this program stand out amongst ALL the other Membership Programs? Introducing a membership program to an oversaturated market of membership programs was not easy but we were strategic in our launch. First, we asked our audience exactly what the wanted from us. We wanted to make sure we filled a need and the only way for us to know exactly what that need was, is by asking! Second, we analyzed the competition. Most of the membership programs at the time were offering access to videos. We didn’t want to do what everyone else was doing...so we set out to do something entirely different. Our membership provided brand new content each month that each business could customize for their business. Being UNIQUE helped us stand out from everything else. There have been several copy cat programs launched since we introduced Monthly Marketing Solved but at the time, we were the ONLY one. That helped us gain market awareness. Can you think of a way to create something that DOESN’T exist? Third, we soft launched to our existing audience. This alone generated over a hundred customers. Fourth, we amplified our marketing. Finally, we made the program better. 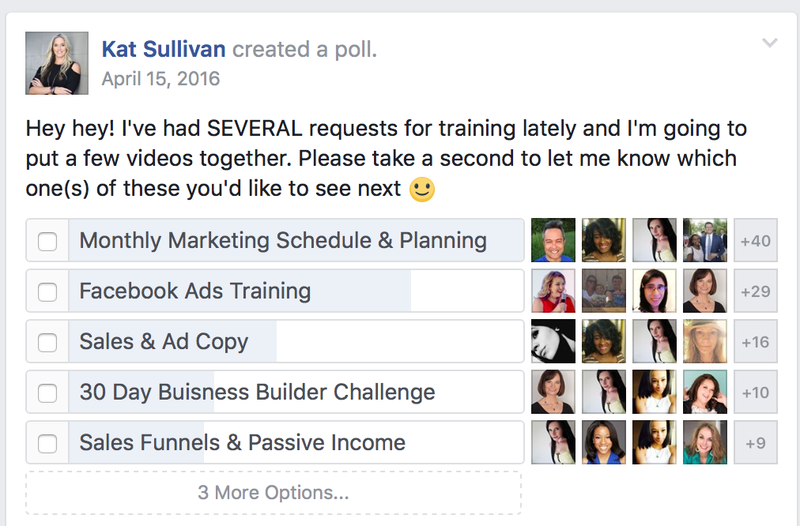 After a year of just providing marketing content, we added the Video Vault of trainings including over 20 full marketing training courses. 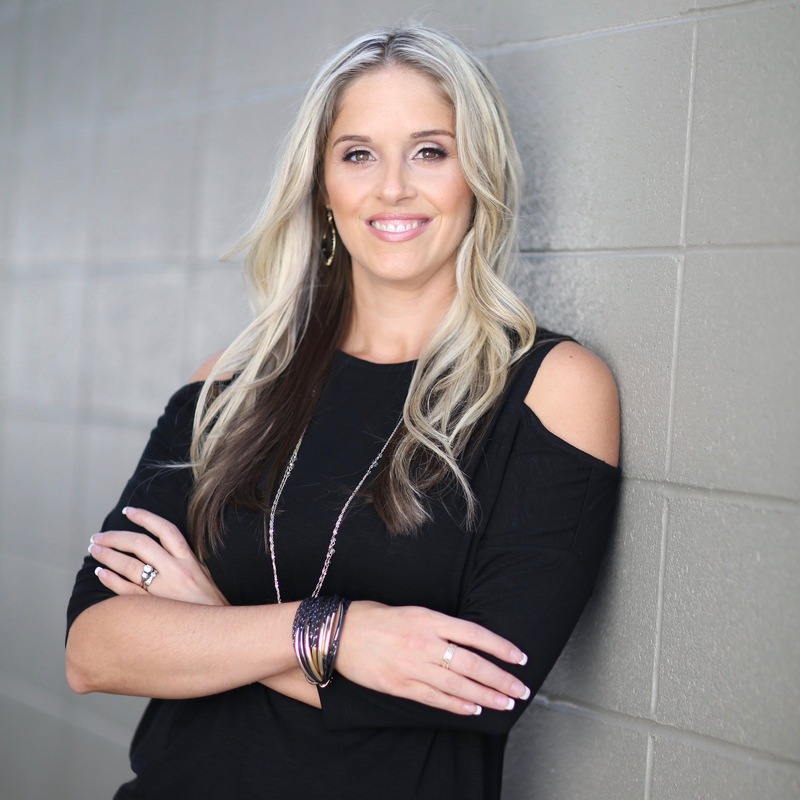 This created a hybrid membership program that not only offered content – but also included trainings that business owners needed to successfully market their business. With all of our efforts being focused on Monthly Marketing Solved – our revenue continued to spike as our customer base grows. 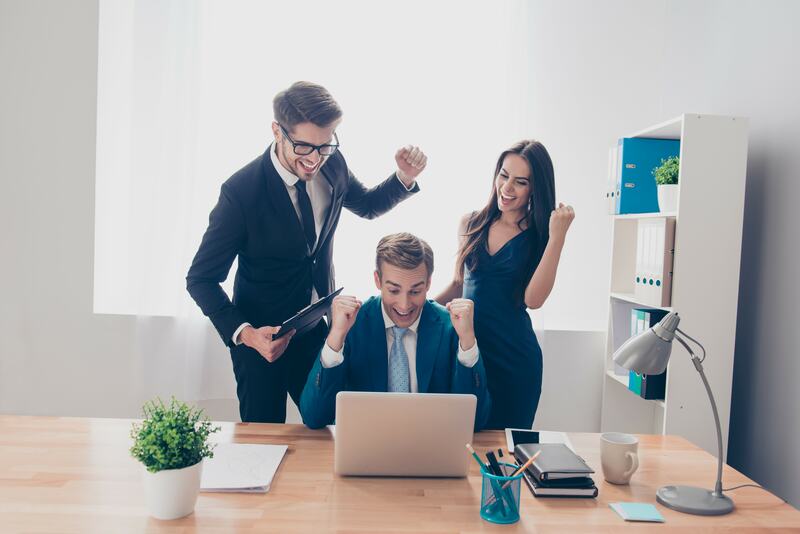 You can see that focused strategy on a monthly continuity program was well worth the effort as recurring revenue continues to grow each month. If you’re looking for ways to increase your revenue, consider introducing a unique membership program to your offerings. Can you find a way to offer monthy recurring service to your customers? Can you find a way to offer something NO ONE else is offering? That’s where you’ll find your gold.